After reading my last post (you can catch it here if you missed it), you know that cow’s milk is not a required part of a child’s diet as long as they are eating a wide variety of foods. But let’s say that your child might not be the most robust or diverse eater and you are wanting to include a beverage that can help to balance out their diet. 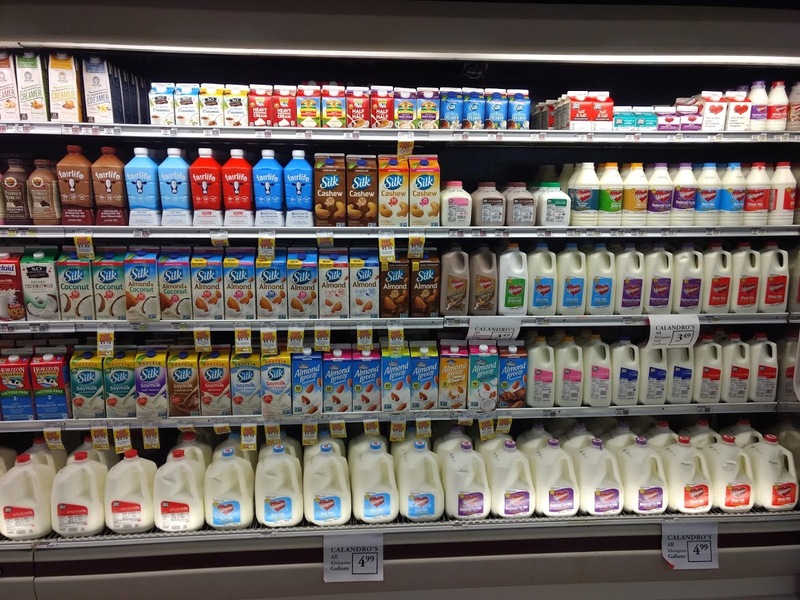 You might be wondering if traditional cow’s milk is the best choice because if the milk aisle at your grocery store is anything like mine above, you know there are many milk alternatives that are now available. Read on to find out about these other milk choices and see which might be best for your kiddos. As you can see, whole cow’s milk is a great source of calories, fat, protein, vitamin D and calcium. If you are choosing cow’s milk for your child, between 1 and 2 years of age, most children should drink whole cow’s milk and then drop to 2% (or less) after 2 years of age. Your pediatrician may recommend a lower percentage milk depending on where your child is on the growth curve. This is one of those times where too much of a good thing can turn into a bad thing. If your child is drinking more than 2 cups of whole milk per day, then they will be getting a tremendous amount of fat and calories from what they are drinking. This will likely keep them from being as hungry and therefore keep them from eating a variety of table foods. Finally, and this will be a common theme for most of the milks in this post, there is really no iron in whole milk. Without a good iron source, children will be become iron deficient which will lead to anemia. I have seen children require hospitalization and blood transfusions because of such significant anemia that resulted from drinking huge amounts of cow’s milk. 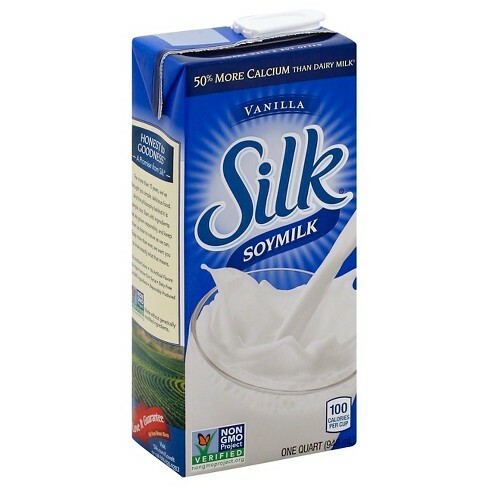 Soy milk is the alternative milk that is closest to whole milk when it comes to nutritional value. Also, soy milk is lactose free (lactose is the carbohydrate or sugar part of cow’s milk) which can be important for those with lactose intolerance which is a relatively common food intolerance. Soy milk can be a good choice for those children who develop transient lactose intolerances following stomach bugs. Soy protein allergy, like milk protein allergy, can be common among children and adults alike. Also, you may have heard about soy products and estrogen effects in both females and males. The bottom line here is that soy has something called phytoestrogens which while similar in structure to estrogen, are not the same. These phytoestrogens can bind to several of the estrogen receptors in the body, but from studies thus far with soy products in moderation, it does not seem that they can have a significant effect on actual estrogen levels in the body. This is one area that the jury is still out though. Almond milk is a great way to get calcium into the diet and doesn’t have as many calories or fat as whole or soy milk if you are wanting to limit those areas. Again, no lactose here so good for those needing lactose-free alternatives. While 1 oz of whole almonds contains 6 grams of protein, you can see that 8 oz of almond milk contains an abysmal 1 gram of protein. 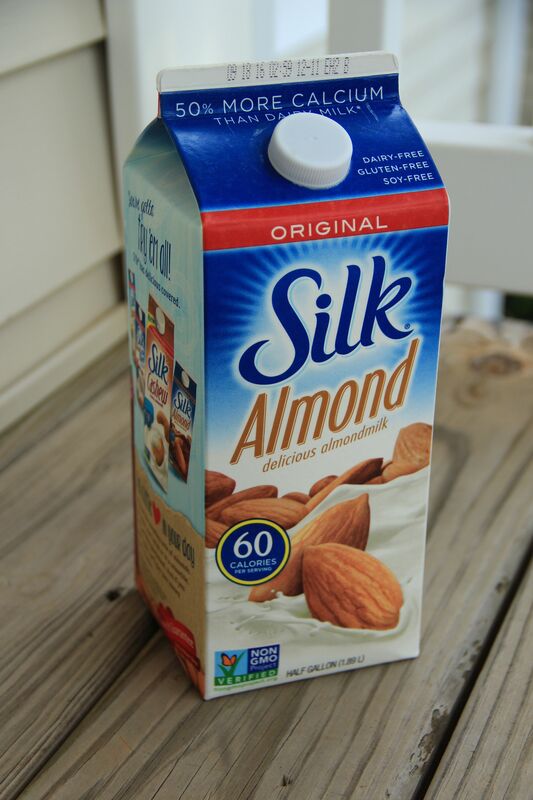 And while it may seem obvious, if you have a tree nut allergy, avoid this milk alternative. 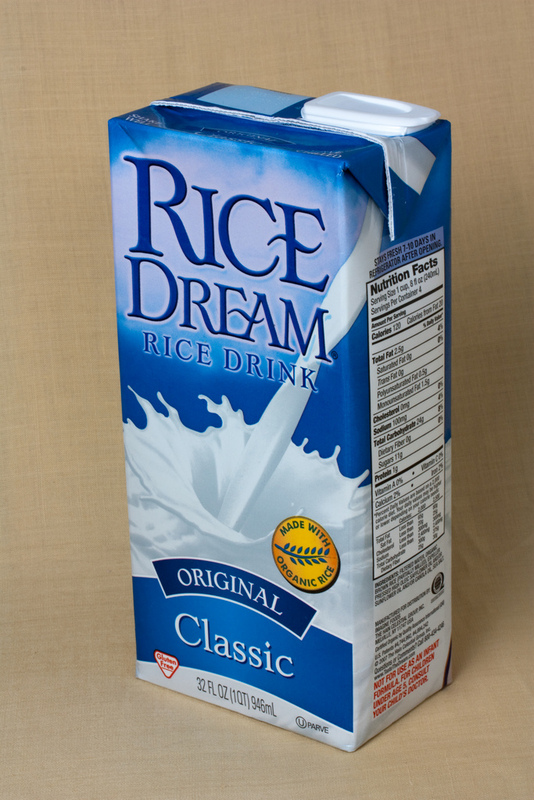 Rice milk is a good option for those with food allergies to things like dairy, soy and nuts. This alternative basically has zippo for protein. 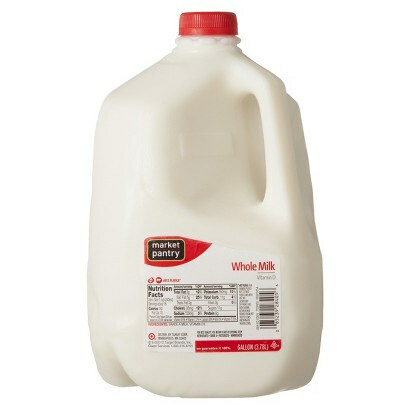 It is also the alternative milk with the highest amount of carbohydrates (which makes sense since it is made from rice). And then there is the concern about the levels of arsenic in rice (click here to see a prior post about arsenic in rice products). If choosing rice milk, make sure to limit other rice sources in the diet to reduce any concerns for inorganic arsenic exposure. Pea based milk is actually really good when it comes to the protein, fat and calcium when compared to other plant based milks. It also has the highest amount of iron when compared to traditional cow’s milk or any of these milk alternatives which can be important for those kiddos who do not like red meats, spinach or other iron sources. I will be honest that this alternative looks pretty good. Perhaps the main downside would be that sunflower oil has been added to make it creamier since peas don’t have a lot of fat to them. Now, one big word of warning when it comes to these alternative milks. You will likely notice flavored varieties such as chocolate and vanilla of each of these milks sitting on the store shelves. When you add flavor, that often means sugar is added as well. Make sure to look at the nutrition labels on any of these milks if choosing the flavored versions. There are unsweetened yet flavored varieties (like unsweetened vanilla) available so the sugar content will still be very low or even zero. 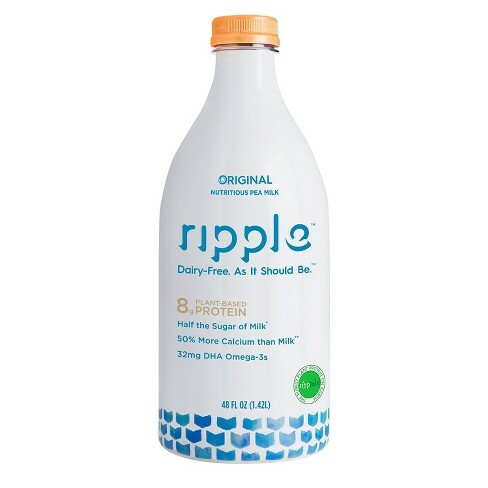 So overall, soy and pea based milk like Ripple are probably the closest to cow’s milk when it comes to nutritional value for the alternative milks. Again, please remember that for children eating a diet with a variety of fruits, veggies and proteins, any beverage, milk based or otherwise, is considered an accessory in the diet. Options are always nice to have, so if looking for something other than cow’s milk in your morning cereal, now hopefully you have a better understanding of what is sitting on those now crowded store shelves.